Children connect with songs and rhymes. This innate quality allows young readers and listeners the ability to play and experiment with sounds with ease. 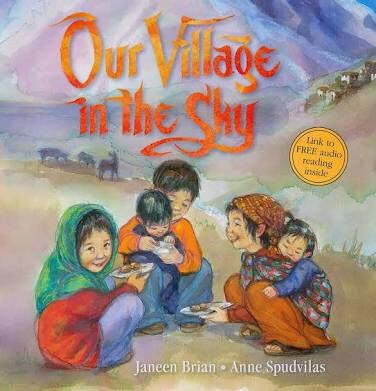 Not only do these lyrical stories lend themselves to a range of engaging and interactive experiences, but their audience is also given opportunities to learn the mechanics of language, sequences and meaning of the text. The following few picture books explore some well-known tunes and traditional tales in new and innovative ways that will relate to their readers, both young and old. 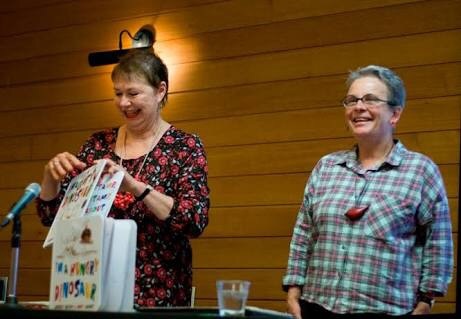 Some great for a giggle, some for a wiggle, and one for learning about things that jiggle! 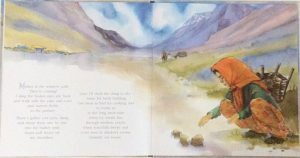 The Croc and the Platypus, Jackie Hosking (author), Marjorie Crosby-Fairall (illus. ), Walker Books, 2014. 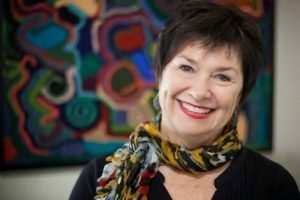 From the lyrical talent of Jackie Hosking, with the superbly detailed and dynamic acrylic paintings by Marjorie Crosby-Fairall, ‘The Croc and the Platypus’ bounds its way from outback Australia straight into our hearts. To the age-old tune of ‘The Owl and the Pussycat’, here our water-loving, ‘Aussie’ pair set off, not to sea in their pea-green boat, but across the desert in their rusty Holden ute. Featuring typical Australian and Indigenous treasures and proper slang, including didgeridoo hullabaloos, sheep-shearing blokes, a cocky, lamingtons and the beauty of the Southern Cross above Uluru, the platypus and the croc embark on an extraordinary camping adventure. ‘The Croc and the Platypus’ is a charming Aussie rendition of the classic song with its romping, rollicking nature and perfectly suited sandy tones and animated characters. Primary school children will adore these unlikely mates and all that our native outback has to offer. Silly Squid! Poems about the Sea, Janeen Brian (author), Cheryll Johns (illus. ), Omnibus Books, 2015. 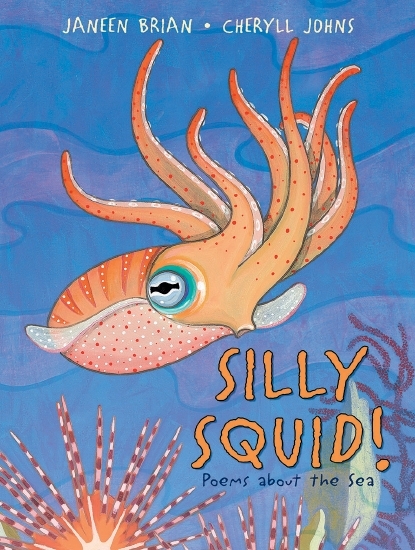 Following on from the ‘Silly Galah!’ poem book, award-winning Janeen Brian, together with illustrator Cheryll Johns, dive into more fact-finding fun with the wonderfully entertaining ‘Silly Squid! Poems about the Sea’. Learning about underwater sea creatures in this book is far from boring. I love how Brian cleverly gets the reader involved. She doesn’t simply spill facts onto the page, but through a nicely cantered metre and interesting information, she encourages discussion with prompting, questioning and expression. Find out fascinating facts, like how a sea star regrows an arm, that a daddy leafy sea dragon helps the eggs to hatch, a squid is not silly because it can colour-change, and that fairy penguins don’t carry wands or grant wishes. Discovering the world of sea life has never been more captivating with the fun poetry and vivid, bold acrylic paintings. ‘Silly Squid!’ is a valuable resource for primary aged children both in and out of the classroom. 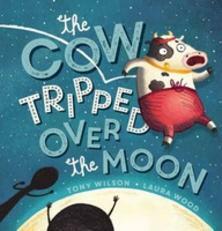 The Cow Tripped Over the Moon, Tony Wilson (author), Laura Wood (illus. ), Scholastic, 2015. A hilarious version of the old nursery rhyme, ‘Hey Diddle Diddle’, with a most persistent, hard-working cow and his ever-so supportive friends. ‘The Cow Tripped Over the Moon’ takes us back on the journey of how the cow ultimately succeeded in jumping over the moon. With exuberant rhyme and comical, distinct illustrations, it takes this hapless cow seven moon attempts before he finally conquers this mighty challenge. From tripping over, to hitting a hot air balloon, slow run-ups, riding meteorites and blazing bottoms, Cow hits an all-time low. 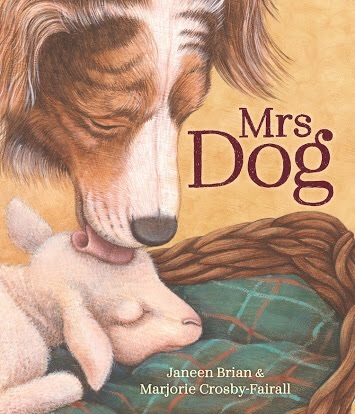 But the encouragement of his dog, cat, dish and spoon mates sparks the determination in this fiesty creature, and the rhyme ends happily ever after. 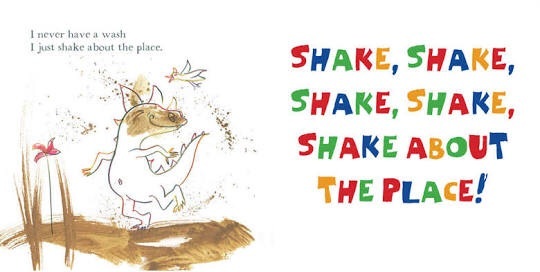 Adorably whimsical and witty with clever plays on the classic rhyme, ‘The Cow Tripped Over the Moon’ is perfect for a snuggle and a giggle before a preschooler’s bedtime. 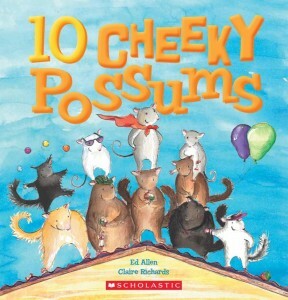 10 Cheeky Possums, Ed Allen (author), Claire Richards (illus. ), Scholastic, 2015. From the crazy silly series from Scholastic and Ed Allen, including ’10 Clumsy Emus’, ’10 Spooky Bats’ ’10 Hooting Owls’, ’10 Silly Wombats’, and ’10 Funny Sheep’, is the latest in the collection; ’10 Cheeky Possums’. Each book contains the same rhythmic style and format, taking the reader from ten animals down to one, to the tune of ’10 Green Bottles’. There are always lively scenes and funny ways that the animals disappear from sight, like being inauspiciously swept off into the distance. 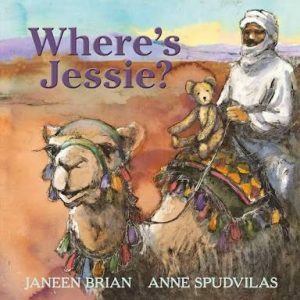 Whilst some unconventional phrasing to fit the verse, this series is an entertaining and interactive concept aimed at young preschoolers and the development of number recognition and counting skills. There are certainly plenty of opportunities for exploration and manipulation in the areas of numeracy and the arts. Little Barry Bilby had a Fly upon his Nose, Colin Buchanan (author), Roland Harvey (illus. ), Scholastic Australia, 2015. 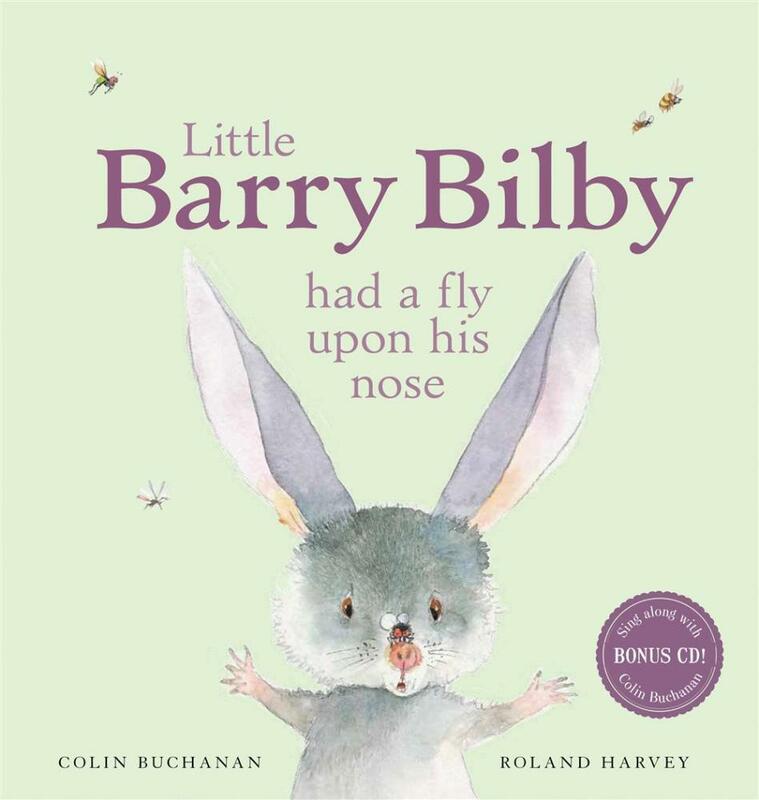 By legendary author and musician Colin Buchanan, and charismatic, witty illustrations by Roland Harvey, is the gorgeously humorous and charming ‘Little Barry Bilby had a Fly upon his Nose’. Crafted from the classic ‘Little Peter Rabbit’ song, this Aussie version takes us bouncing and itching along as a group of helpless native animals escape the invasion of their bizzy buzzy bush bug pests by jumping into the creek. With rollicking lyrics in three verses, repetition and alliteration, preschoolers can easily gauge the rhythm and language, allowing for a most appealing and engaging song (and dance) time experience. The bonus CD adds an extra dimension to the drama, particularly for those adults who may need some help staying on key!